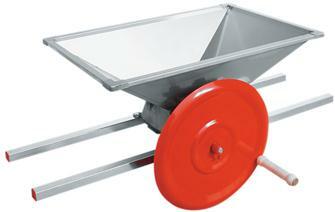 Painted steel trestle for grape grinders. 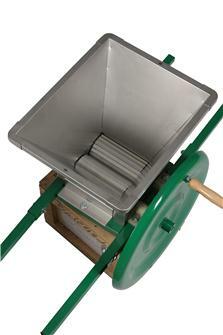 Manual grape burner in stainless steel 54x54. 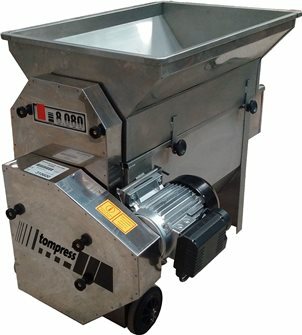 Electric stainless steel grape grinder press 736 W, up to 1.5 metric tons per hour with no effort. 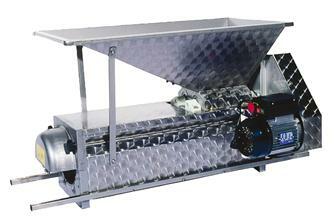 Electric grape de-stemmer with stainless steel pump 80 x 58 cm. 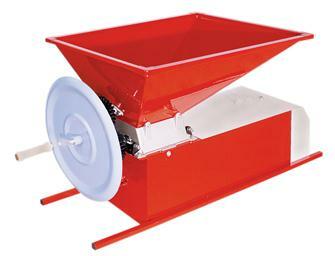 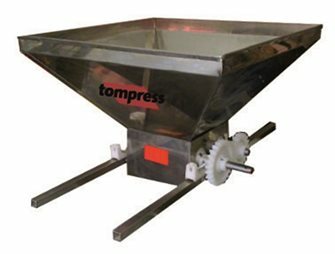 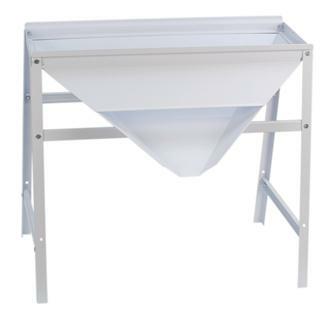 Tom Press stainless steel electric grape harvester, 78x54 cm hopper. 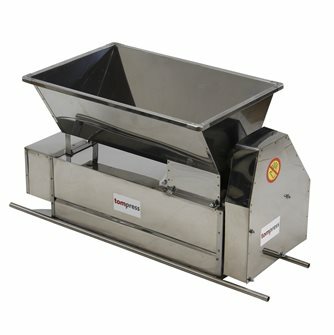 Manual grape burner in stainless steel 90x60.